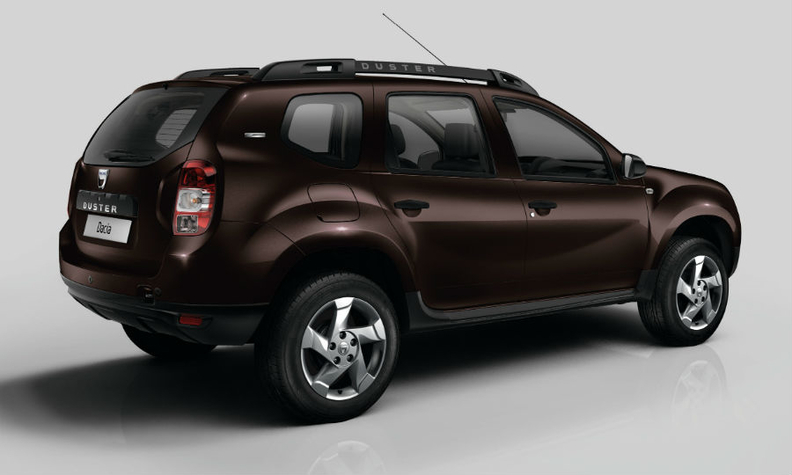 Dacia is selling a higher-spec Duster in chestnut brown in a bid to boost sales. RENNES, France -- Dacia will focus on boosting brand recognition this year as the sales growth that Renault's low-cost unit had during the European downturn slows. Dacia's rate of growth this year should be on par with that of last year, Francois Mariotte, Dacia’s commercial director, told Automotive News Europe. Dacia's sales strategy will largely rely on boosting its marketing efforts to "develop the familiarity of the brand," Mariotte said. "We still need to invest in the awareness of Dacia," Mariotte said. "We need to make people more aware of our products instead of being known just by our brand name." Dacia lost market share in Europe last year as its sales stalled because of its aging lineup and lack of offerings in the booming SUV/crossover segments, apart from the Duster compact model. Dacia benefited during Europe's austerity when customers were reluctant to spend money, said Ian Fletcher, an analyst for IHS Automotive. "With growing consumer confidence and greater economic stability I think buyers are happier to stretch themselves," he said. "I think a lack of new product hasn’t helped matters." Dacia's EU ad EFTA sales rose 5.1 percent last year to 382,948 units in a total market up 9.1 percent, according to data from industry association ACEA. Its market share fell by 1 percentage point to 2.7 percent, equal to that of rival affordable brand Kia. Sales of the Duster SUV declined by 1.8 percent to 125,227, according to market researchers JATO Dynamics. At the Geneva auto show earlier his month, Dacia introduced higher specification. limited-edition versions of the Duster, Sandero subcompact hatchback and Logan wagon in a bid to boost sales. The versions have Bluetooth and USB connectivity, electric front windows and central locking, and a new chestnut brown body color. Reports have said that Dacia could sell a version of the India-only Renault Kwid subcompact in Europe. But Renault CEO Carlos Ghosn told journalists at the Geneva show that the Kwid's launch in India and South America remains a priority ahead of other regions. The task of adding fresh products and boosting sales will fall to Renault veteran Yves Caracatzanis who becomes Dacia's new CEO on April 4, moving from his current role as Renault's production and supply chain for the company's Eurasia region. He succeeds Nicolas Maure, who moves from Dacia to head of AvtoVAZ, Russia's largest automaker, which builds Lada cars.